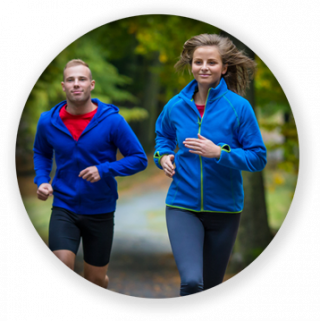 healthpro Road Runners - Begin to Run is a group running course catering for the complete beginner. Delivered by running coaches with exceptional knowledge and coaching skills, 10 week programmes are centred on building running ability in a gradual and progressive manner, whilst also developing good technique, leg strength and flexibility to stay injury free. Sessions are twice weekly, Wednesday evenings (19:00) and Saturday mornings (8:30), and are conducted within a highly motivating, fun and friendly group dynamic in the beautiful surrounds of Howth, Co. Dublin.